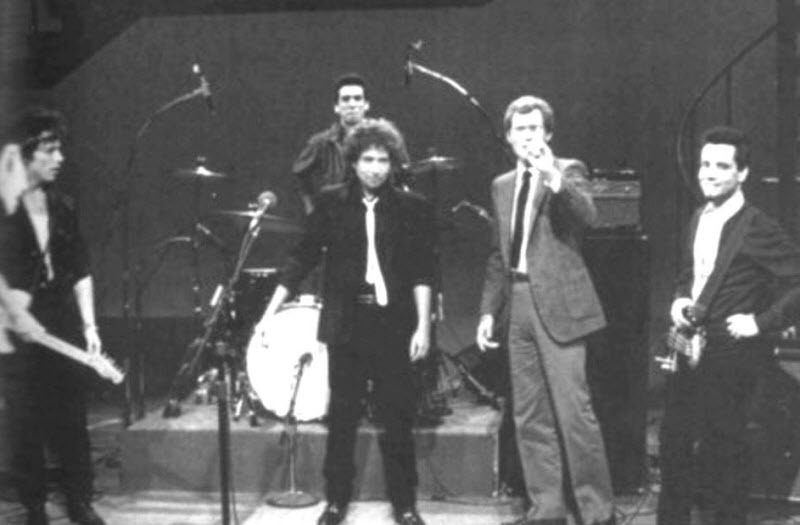 With this band, one thinks, Dylan could have set the world on fire again. Here are the full video from the rehearsal. 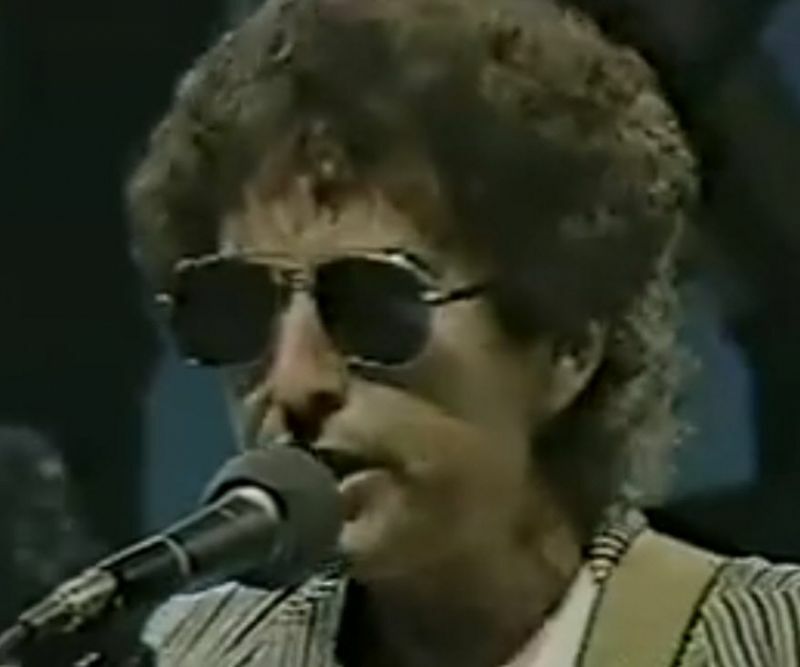 Bob Dylan’s performance @ Letterman in 1984 is legendary… at least among fans & commentators. 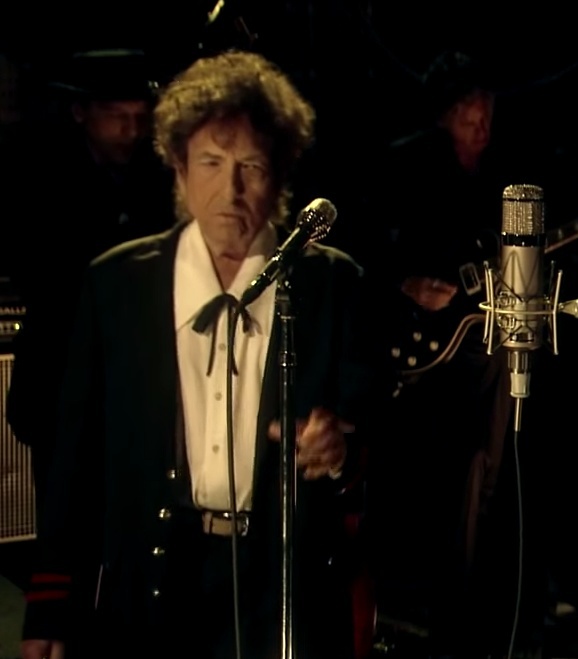 In a rare television appearance, legendary musician Bob Dylan will perform on the LATE SHOW with DAVID LETTERMAN, Tuesday, May 19 (11:35 PM-12:37 AM, ET/PT) on the CBS Television Network. This will be Dylan’s first performance on the LATE SHOW in nearly 22 years. His only performance on the CBS broadcast took place Nov. 18, 1993, during the show’s inaugural season on CBS. Previously, he had performed on Letterman’s “Late Night” show twice, on March 22, 1984 and on “Late Night’s” 10th anniversary show Jan. 18, 1992. Here he is with a very fitting song, The Night We Called It A Day. 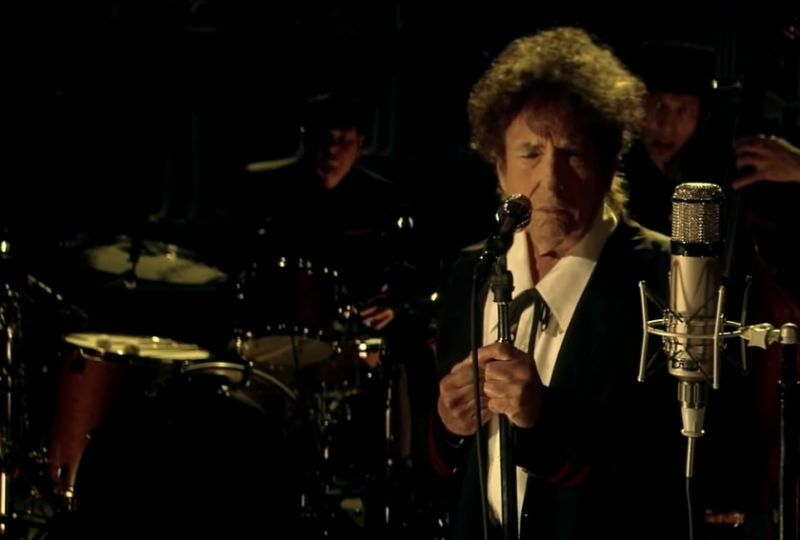 Dressed in a black suit with red trim, and a white shirt with a black string tie, BobDylan sang this a jazz standard from the 1940s. 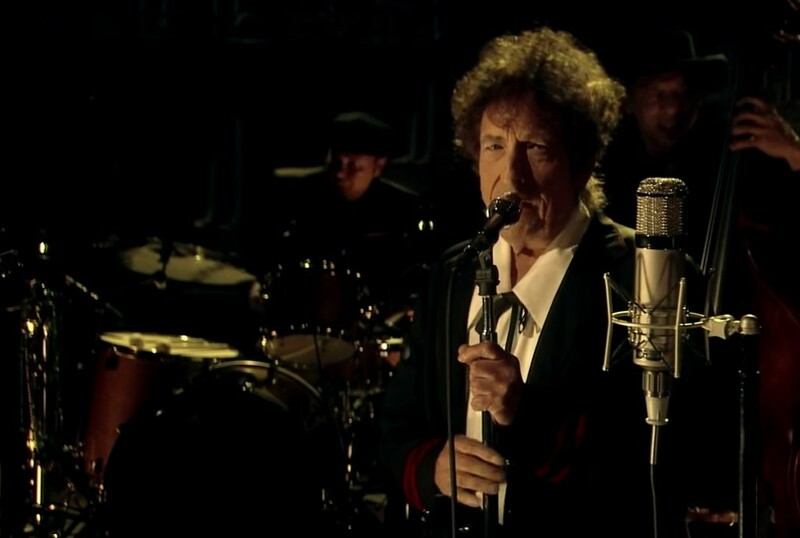 It appeared on Dylan’s latest album, Shadows in the Night. Dylan’s voice was incredible. 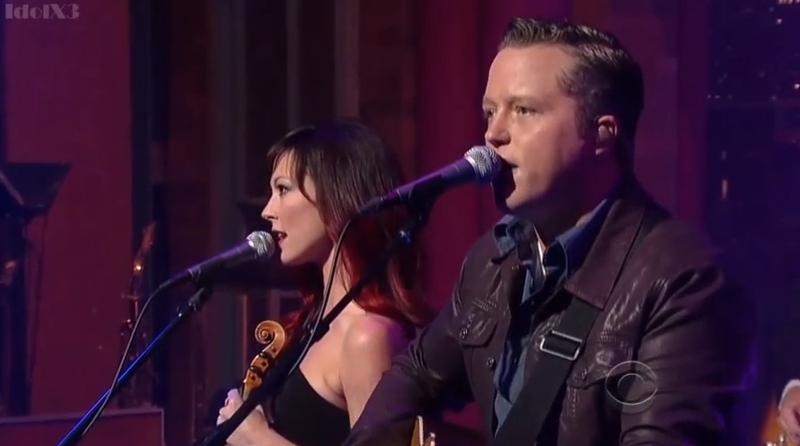 Jason Isbell does a tremendous live version of his song Stockholm on Letterman about a week ago (23 July). It’s a fantastic song and a great performance! 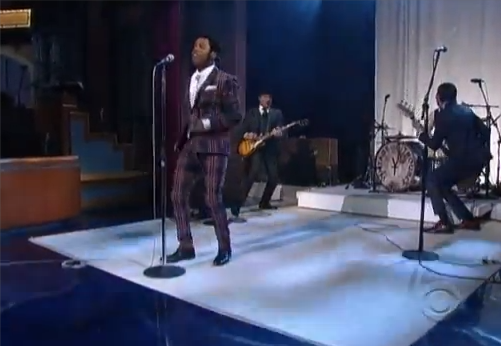 L.A. blues/rock band Vintage Trouble played on Late Show with David Letterman a couple of nights ago and absolutely blew the roof off the house with an incredible performance of Blues Hand Me Down, the single from their 2011 debut, The Bomb Shelter Sessions. We have written a little bit about them before, but nothing prepared us for this mindblowing performance! Singer Ty Taylor owned stage at the Ed Sullivan Theater, it was tight and loose at the same time, well I think you know what I mean.